Members and website visitors can now subscribe to your event feed. 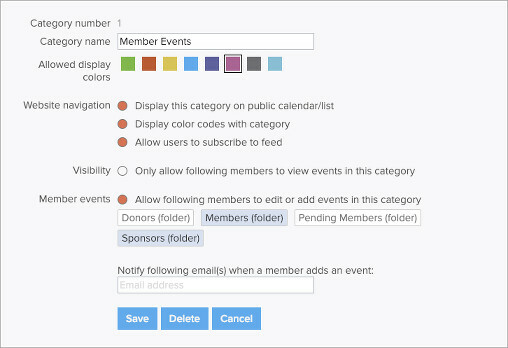 In addition, your members and website visitors can subscribe to just a single event category or your entire calendar. Event categories that are set to to members only will not be available for subscription. It’s easy for your members and website visitors to subscribe to the events feed from your website. They will see a “Subscribe” button at the top of your calendar or event list. They can choose to add the feed to their default calendar, Google calendar or copy the feed/URL to their event calendar.